Guha attributed the ascent of the Hindutva from of nationalism to the "hypocrisy" of the Left and the Congress. 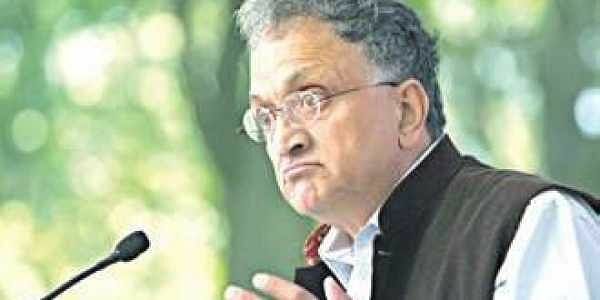 NEW DELHI: Noted historian Ramachandra Guha said today that jingoism thrived on hatred, while patriotism was suffused with love. Guha attributed the ascent of the Hindutva form of nationalism to the "hypocrisy" of the Left and the Congress. He suggested that the Communists and the Congress party were behind it. Delivering the 23rd Justice Sunanda Bhandare Memorial Lecture here, Guha cautioned that jingoism would harm the country culturally and economically. Speaking on the topic 'patriotism versus jingoism', he dwelt on the concept of 'constitutional patriotism', saying it was an acknowledgement of our shared diversity and ability to be rooted in one's culture. "No nation, no culture, no leader, not even our Prime Minister, is flawless," Guha said. Patriotism is suffused with love while jingoism sustains on identification and hatred against a common enemy, he said. "This model of nationalism (constitutional patriotism) is on defensive now against a new rising, dominating form of nationalism," he said. "Although the Communists had a great influence on our culture and life, they loved another country more than India - earlier it was Russia and then it was China," he said. He also accused the Congress of "intellectual and moral corruption" and added that it gave ammunition to jingoism in the country. "Particularly, the reduction of history of a great party of our freedom struggle to the history, biography and personal interest of a single family is a sham and ammunition to the jingoists," he said.